Macular Degeneration Test - Why Check Your Vision At Home? A new macular degeneration test can be done at home to detect any early symptoms of wet macular degeneration. The ForeseeHome Monitoring program uses a simple device to check one's vision at home and then sends that important data to a monitoring center via a telephone line. When any statistically significant vision changes are noted, the patient and the patient's physician are contacted immediately. A representative from ForeseeHome shares with us how this device works and what research is behind this program through an e-interview with www.WebRN-MacularDegeneration.com. Find out which patients with macular degeneration should monitor their vision at home, why daily monitoring is so important, and how this new home monitoring device features several advantages over the Amsler Grid. 1. Those who have dry macular degeneration in one or both eyes are instructed to monitor their vision regularly at home with the Amsler grid. Why is that? 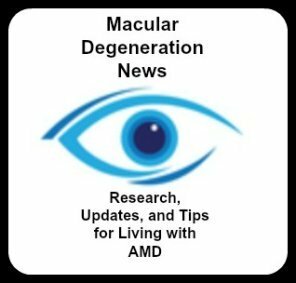 First of all, I think it is important to understand that patients with the dry form of age-related macular degeneration (AMD) are at higher risk for developing the wet form of macular degeneration. According to the clinical literature, about 90% of vision loss resulting from AMD occurs due to the wet form, also known as choroidal neovascularization (CNV). Wet macular degeneration progresses very quickly and can lead to vision loss in just a matter of days or weeks if left undetected. Therefore self monitoring for symptoms of wet AMD has been recommended by doctors in the hopes that treatment for wet AMD can be initiated before the patient loses quality vision. The Amsler Grid was first introduced in the 1940’s as a method for self monitoring of symptoms related to the development of wet AMD. The Amsler grid resembles a piece of graph paper. Patients are instructed to look at the Amsler grid each day and to contact their eye doctor if any of the lines appear wavy, distorted, or missing which could be an indication of the development of wet AMD. How Effective is the Amsler Grid? 2. 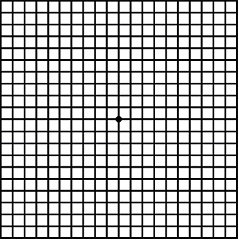 How effective is the Amsler Grid in detecting the development of wet macular degeneration in an eye with dry macular degeneration? Numerous studies have shown the Amsler grid to be a poor method for early detection of wet AMD. By the time a patient notices symptoms when viewing the Amsler grid, often the patient has already lost quality vision. is generally less than 50%. Perhaps this explains why age-related macular degeneration is the leading cause of severe vision loss in older Americans. Zaidi reported less than 30% sensitivity for early detection of wet AMD in The Amsler chart is of doubtful value in retinal screening for early laser therapy of subretinal membranes (Eye 2004; 18: 503-8). Loewenstein reported 34% sensitivity for detection of advanced (wet) AMD in Replacing the Amsler Grid-A New Method for Monitoring Patients with Age-related Macular Degeneration (Ophthalmology 2003; 110: 966-970). 3. Tell us about a new FDA approved home monitoring system called ForeseeHome AMD Monitoring Program. What is it, how does it work and how does it detect changes in the macula? The ForeseeHome AMD Monitor™, developed by Notal Vision, utilizes a patented technology called Preferential Hyperacuity Perimetry (PHP) to detect and quantify visual changes (metamorphopsia & scotoma) resulting from wet macular degeneration. 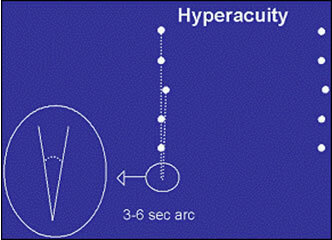 Hyperacuity, or Vernier acuity, is the human ability to perceive minute differences in the relative spatial localization of two objects in space. In other words, it’s your ability to recognize misalignment of objects. The human brain is exceptionally sensitive to such deviation. In the fovea (center of the macula), hyperacuity ability is in the range of 3-6 seconds of arc which is 10X more sensitive than standard visual acuity. The ForeseeHome analyzes a central 14 degree field of view around the macula, measuring over 500 data points three to five times each. Patients take a short test, which takes about 3 minutes per eye, on their ForeseeHome device from the convenience of home. During the test, a stimulus which looks like a dotted line will flash on the screen and users respond by using an attached computer mouse to click on the viewing screen where the line appeared distorted (i.e. where it appeared to have a wave or bump). The ForeseeHome device records the user’s responses and automatically transmits the data through an imbedded cellular modem (or phone landline if cellular service is not available in that location). The test data is received by the Notal Vision Data Monitoring Center where an advanced algorithm compares the results to a macular degeneration normative database and the patient’s own baseline. A report is generated and made available to the prescribing eye doctor and patient through a secure online database. When testing results indicate a statistically significant change, the Notal Vision Data Monitoring Center will alert the prescribing eye doctor and patient so they can schedule a comprehensive eye exam. The ForeseeHome device is a self contained unit that does not require a computer or an internet connection. ForeseeHome users do need to be able to operate a computer mouse, which comes with the device. The device is small and lightweight allowing convenient usage at a table or desk in your home. 4. What research has been done on the ForseeHome AMD monitor and what were some of the study results and conclusions? The technology of the ForeseeHome AMD Monitor, Preferential Hyperacuity Perimetry, has been validated in numerous studies and used in thousands of AMD patients. "Of the 32 patients with CNV, 30 (94%) were found positive on the PHP and 11 (34%) were found positive on the Amsler Grid." "The PHP was superior to the Amsler Grid in detecting AMD related lesions." "The results confirmed the observations of others regarding the poor validity of the Amsler Grid in detecting the neovascular form of AMD." 5. How is this telemonitoring system and process better than the Amsler Grid in detecting new leaking blood vessels? The ForeseeHome has demonstrated much better sensitivity for early detection of metamorphopsia and scotoma associated with the development of wet AMD, usually before the patient experiences noticeable symptoms or loss of vision. By the time a person notices distortions when viewing an Amsler grid, vision loss has usually already progressed, resulting in the noticeable symptoms observed when viewing the Amsler grid. The ForeseeHome AMD Monitor is not affected by the following distinct limitations of the Amsler Grid. The brain automatically compensates for a certain amount of visual distortion by correcting or completing missing information when viewing an Amsler grid, therefore masking some visual defects until they become advanced. In contrast, the ForeseeHome AMD Monitor utilizes technology that can identify visual defects before your brain can complete the missing information. The Amsler grid resembles a piece of graph paper, with horizontal and vertical lines close together. The brain perceives details in peripheral vision more clearly when they are isolated from close or competing information but when viewing the Amsler grid, your brain can mask subtle distortions that might appear at the grid's periphery. The ForeseeHome AMD Monitor utilizes technology that can detect peripheral defects accurately by displaying one line stimulus at a time. The human fovea (center of macula) constantly scans the entire visual field to gather detailed information that the brain uses to create a seemingly clear picture. When using the Amsler Grid, a patient is instructed to focus on the point in the center and look for distortions in their peripheral vision. However, fixation is incredibly difficult as most patients look at the central point in the grid while involuntarily scanning the rest of the grid with the fovea. The ForeseeHome AMD Monitor overcomes fixation problems by randomly flashing visual stimuli that prevents scanning with the fovea and a moving dot that brings the user’s fixation back to the center of the screen between each stimulus. Many patients do not use the Amsler grid as instructed. The Notal Vision Data Monitoring Center will contact a ForeseeHome user if no test results are received for seven consecutive days, thereby monitoring compliance. In general, compliance has not been a problem with the ForeseeHome AMD Monitoring Program with an average frequency of use of about 5 days per week amongst all users. There are numerous examples of patients using the ForeseeHome who developed wet AMD, which was detected by the ForeseeHome, but yet these patients indicated the Amsler grid still appeared normal. The ForeseeHome is able to detect subtle changes related to wet AMD before any symptoms become noticeable and before any change in visual acuity. It is possible to prevent vision loss from wet AMD, if it is detected and treated at a very early stage, when the lesion is small and the visual acuity good. Who Benefits from Home Monitoring? 6. Who benefits from this type of home monitoring? Is it for anyone who has dry or wet macular degeneration? 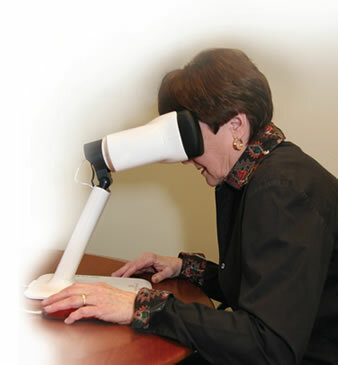 The ForeseeHome is indicated for any patient diagnosed with intermediate dry macular degeneration. Patients who have lost vision from wet macular degeneration in one eye and have dry macular degeneration in the other eye are at significantly high risk for development of wet macular degeneration in the 2nd eye. The ForeseeHome is especially beneficial for these high risk patients, to hopefully prevent vision loss in their only remaining eye with good vision. It is not currently indicated for ongoing monitoring of wet macular degeneration. However, Notal Vision is currently conducting a study for monitoring wet macular degeneration and hopes to have such an indication in the future. 7. Who get's the information that is sent via the ForseeHome device and how does my doctor get alerted to any eye changes? Will the patient get alerted as well? Data from the ForeseeHome device is automatically transmitted to the Notal Vision Data Monitoring Center through a built-in cellular modem (or phone land line where cellular coverage is poor). When there is a statistically significant change in testing results, Notal Vision will contact (phone & email) the prescribing eye doctor. Notal Vision will also contact the patient by phone. All patients participating in the ForeseeHome AMD Monitoring Program are asked to provide a patient designate or secondary contact. Notal Vision will contact this person if unable to reach the ForeseeHome patient at the time of an alert. Prescribing doctors and ForeseeHome patients can view testing results through a secure online database at any time. In addition, Notal Vision will contact any ForeseeHome patient if data is not received for seven consecutive days. Notal Vision maintains patient confidentiality and compliance with HIPAA. 8. Is the ForeseeHome AMD monitoring program available to anyone? If not how does one take advantage of this new home monitoring machine? The ForeseeHome AMD Monitoring Program is available to anyone diagnosed with intermediate dry macular degeneration. A prescription from an eye doctor is required in order to sign up. There are specific clinical indications which an eye doctor must confirm on the ForeseeHome prescription form. The ForeseeHome AMD Monitoring Program is a monitoring service with device rental. You do not purchase the ForeseeHome device. Consequently, you’ll never have to worry about repairs or upgrades, which are all covered as a part of the program. 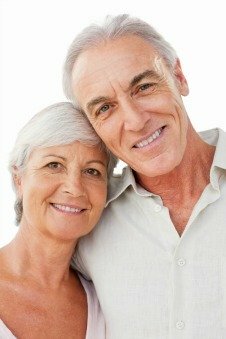 As of February 29, 2016 the ForeseeHome AMD Monitoring Program is available for eligible Medicare patients.